This post contains affiliate links, which will not impact your shopping experience. The link will lead you directly to Amazon (and not a third party). This is a fantastic deal! I just send the gift card to one of my own emails, and get $10 free! I was not eligible this time around, but maybe you will be lucky and will be! Just click the link before and either you will see the offer, or you will see a notification that you are NOT eligible. 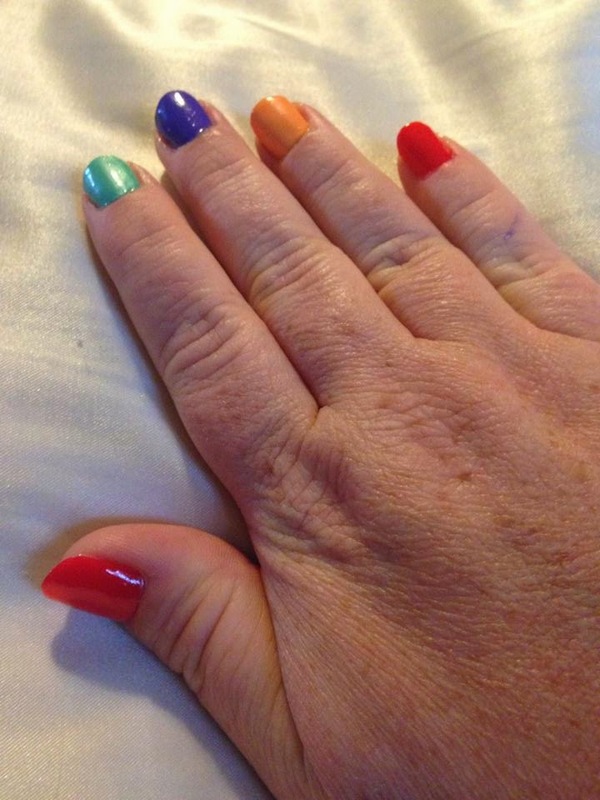 Mani Monday: Bold Colors for Summer! 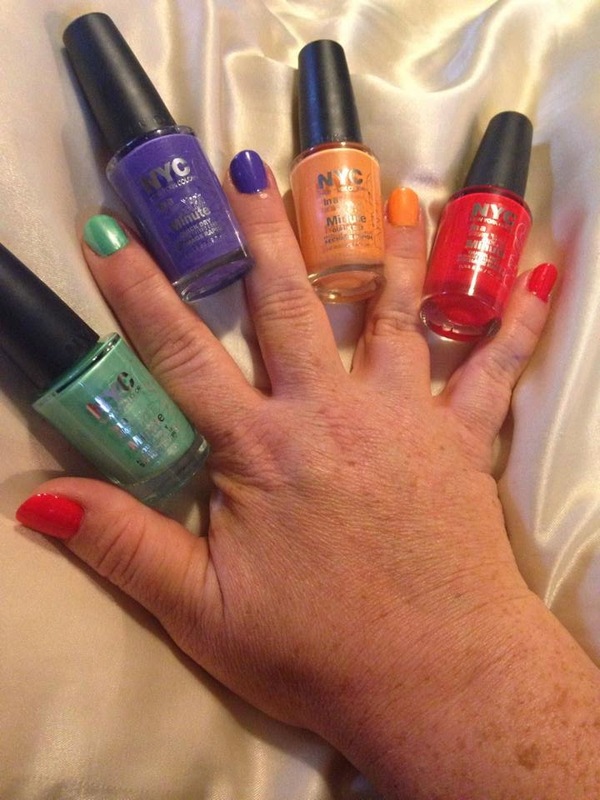 New York Color just sent me some new In a New York Minute Quick Dry Polish, and I decided to mix up my mani this week by using them all! The polish did dry very fast (as promised). 4 days later and no chips at all. At only about $1.99 per polish, New York Color In A New York Color Minute Quick Dry Nail Polish is a quick and super cheap mani you can do yourself!